For this week's SoulfulSunday series, my friend and Pianist Mike Chipman stopped by our house to perform TWO special songs just for you, Loved Ones. After a long 12 months, it's finally here...the end of one of the hardest years we've had in a long while is coming to a close. I'd like to wish you and your families a very Happy Holidays from myself and all of us over here at Rajdulari Music headquarters <3 (believe it or not, I actually have a small team now, yay!). For this New Year? I'm wishing all of us more peace, more compassion, more community, and more love. I hope that all of your personal and business dreams come true next year. And I also hope that we as a country can hopefully see a peaceful resolution to all of this political conflict we're experiencing right now, too. Have a wonderful holiday with your family, and I'll see you next week, Loved Ones! Did you hear the news, Loved Ones? 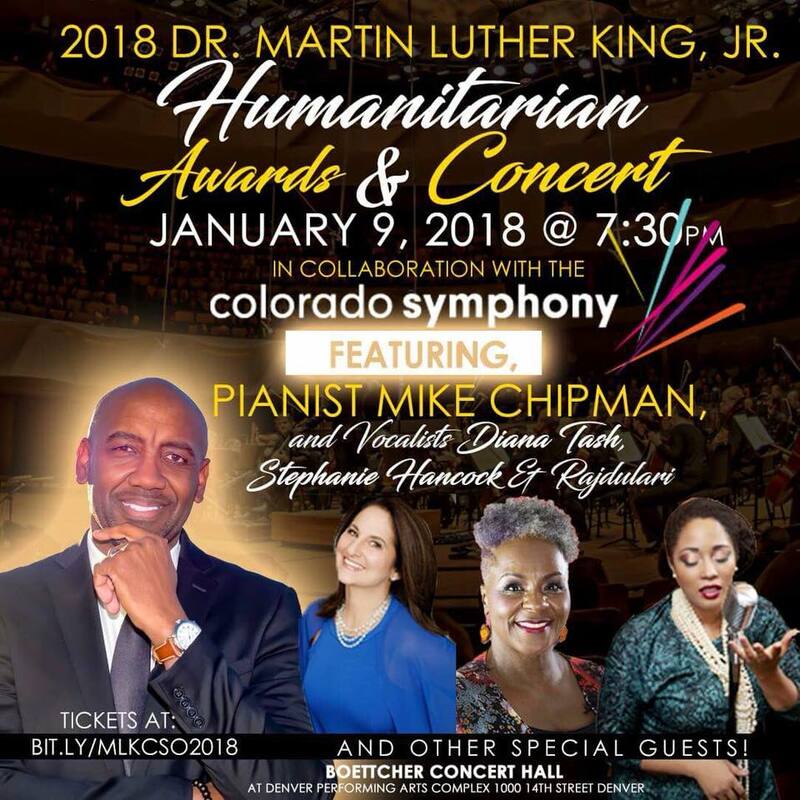 Mike has invited me (and several other special guests) to perform with the Colorado Symphony Orchestra on January 9th for the 2018 MLK Humanitarian Awards. I'm soooo excited, this will be my BIGGEST gig ever, and it's for such an amazing cause, in celebration of Dr. Martin Luther King, Jr.'s life, and in honor of the 50th anniversary of his passing. Tickets to this event are 100% FREE, but you DO need to get them in advance. Click HERE to get your free tickets. Don't forget to come check me out w/Stu MacAskie & his Blues/Jazz band at The Crimson Room on Dec 27th! Click here for more info. I have a lot of awesome music coming up for you in 2018, Loved Ones. Check out my list of performance dates here, and hopefully I'll see you out at a show soon! Subscribe to my Weekly Love Letter!